An easy to use, aesthetically pleasing website, is exactly what every customer is looking for when they shop online. However this simplicity needs to go both ways, ensuring the retailer can design the site with the same ease and self-service that the user experiences while shopping on it. Understanding this need for our retailers is exactly what we’ve been trying to do at blubolt and it’s led to an incredibly exciting feature for bluCommerce. Introducing the brand new Content Editor! At blubolt, we’ve designed a new way for our customers to perform real-time alterations to the frontend appearance of their websites. Instead of logging into the admin and going back and forth to view the changes they make, blubolt customers simply click on the section they wish to edit and make instant alterations, there and then. It’s more convenient, more user-friendly and provides immediate visual feedback. Preview mode: Preview mode you can visualise your changes queued up to be published – just like a customer would see it. Why have we created the Contextual Content Editor? 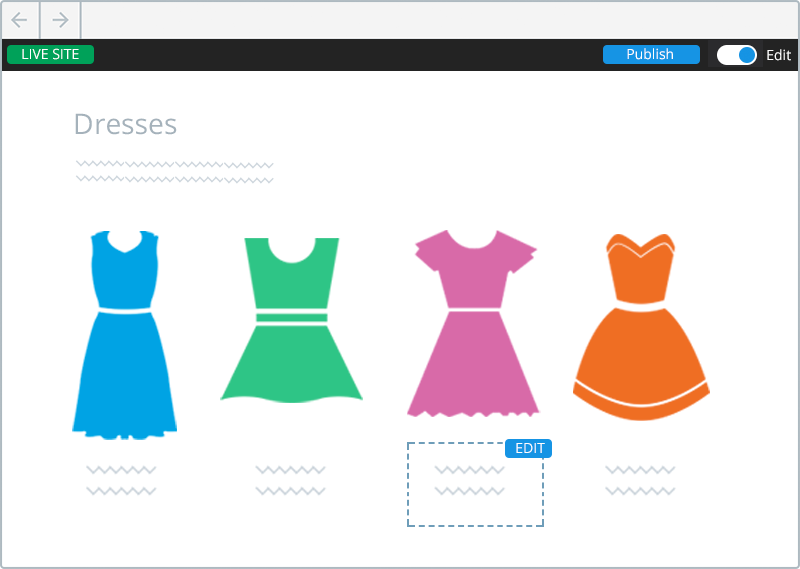 The new contextual content editor is just one of the ways we’re making it easier for our retailers to create beautiful looking, high functioning websites. If you’d like to hear more about what blubolt can do for you, get in touch today!